German armoured vehicle manufacturer Rheinmetall plans to establish a modern production and integration centre for armoured vehicles in the UK if it is awarded a contract for the British Army’s next-generation Mechanised Infantry Vehicle (MIV) programme. Rheinmetall says such a facility would lead to long-lasting armoured vehicle capability in the UK. The Mechanised Infantry Vehicle (MIV) programme will deliver up to 800 8x8 vehicles with initial operating capability planned for the early 2020s. The UK played a major role in the design, development and testing of Boxer from 1999 to 2004. Upon acquisition, the UK would reassume the rights which it had as the original project partner, says Rheinmetall, which means the Boxer could be exported from the UK. UK companies BAE Systems, Pearson Engineering and Thales UK have signed agreements with the ARTEC consortium as partners for the UK production of Boxer. Should the armoured wheeled vehicle be selected for the MIV programme, Rheinmetall says at least 60% of Boxer’s value creation and 100% of final assembly will take place in Britain. ARTEC has defined a competitive process for the main partners and their supply chains to follow. 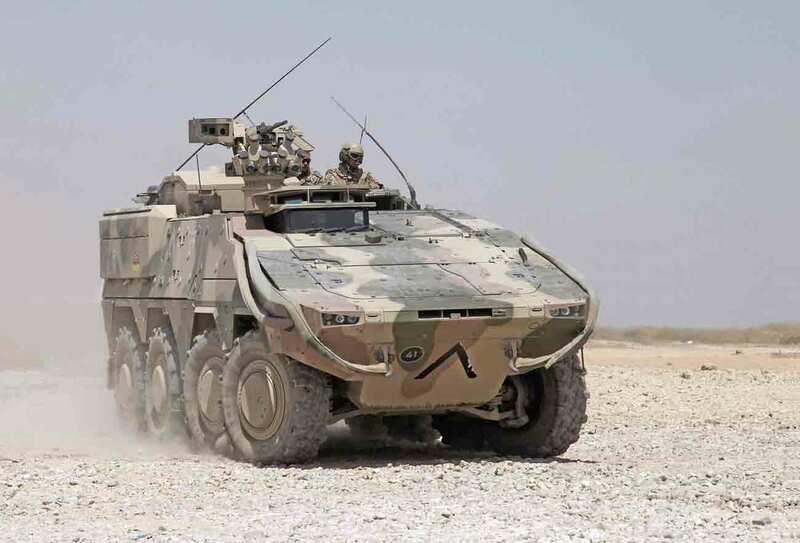 Rheimetall says the UK partnership approach will ensure that British companies are fully embedded in the MIV supply chain, which could help address concerns about Boxer being dependent on a German original equipment manufacturer supply chain. Rolls Royce, ParkerHannifin, WFEL and British subsidiaries of the ARTEC parent companies will also supply British content. Boxer is a high mobility vehicle with a wide range of capabilities and a focus on maximum protection. Other contenders for the UK MIV programme include General Dynamics’ PIRANHA 5, which is proven in service with key UK allies such as Canada, and Patria’s Advanced Modular Vehicle Extra Performance (AMV XP), which is operated by the armies of Finland, Sweden, Poland, Slovenia, Croatia, South Africa and the UAE.